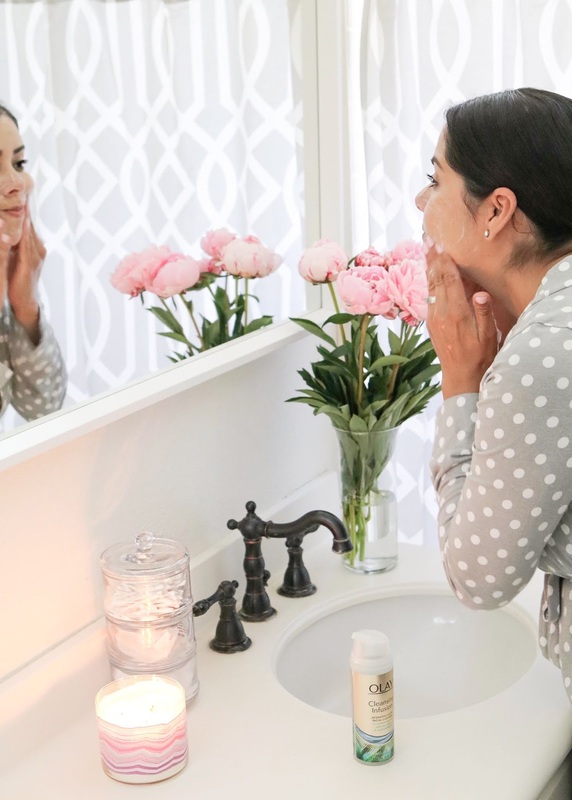 It's crazy to think how much my night-time routine has changed since becoming a mom, but one thing has remained constant, always washing my face at the end of a busy day! 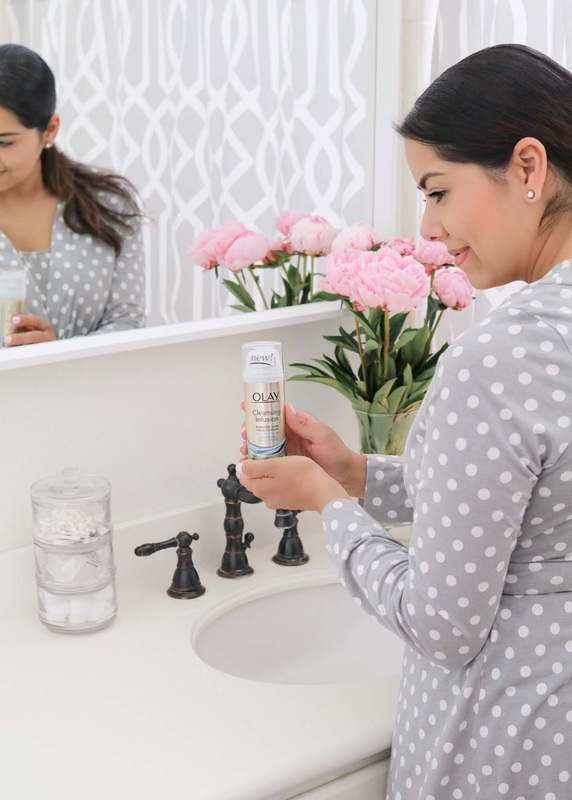 Not only is it crucial for my skin, it has also become a bit of therapy where as soon as the baby goes down to sleep, I race to the bathroom for my "me time" starting with the Olay Cleansing Infusion Facial Cleanser with Deep Sea Kelp! 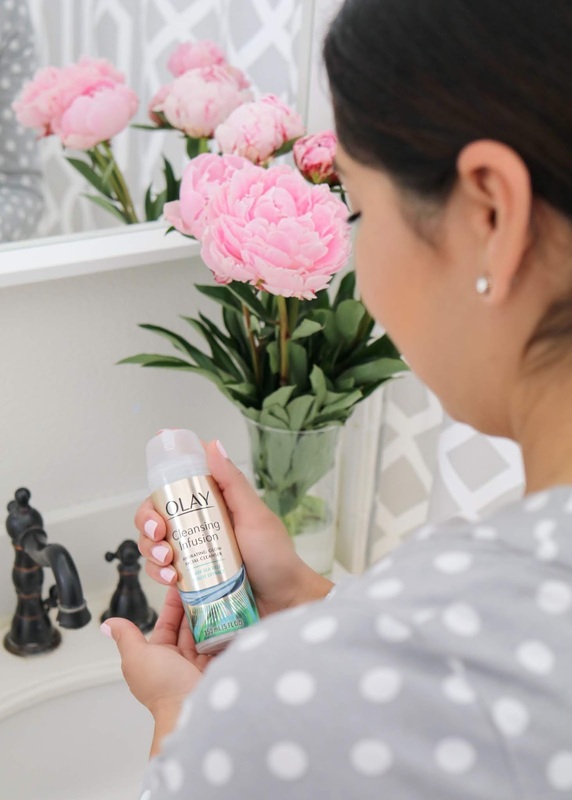 Now as a working mom and being a woman always on-the-go with limited time, I am BIG on products that are effective and can really work their magic on my skin, like this Olay Cleansing Infusion Facial Cleanser with Deep Sea Kelp. 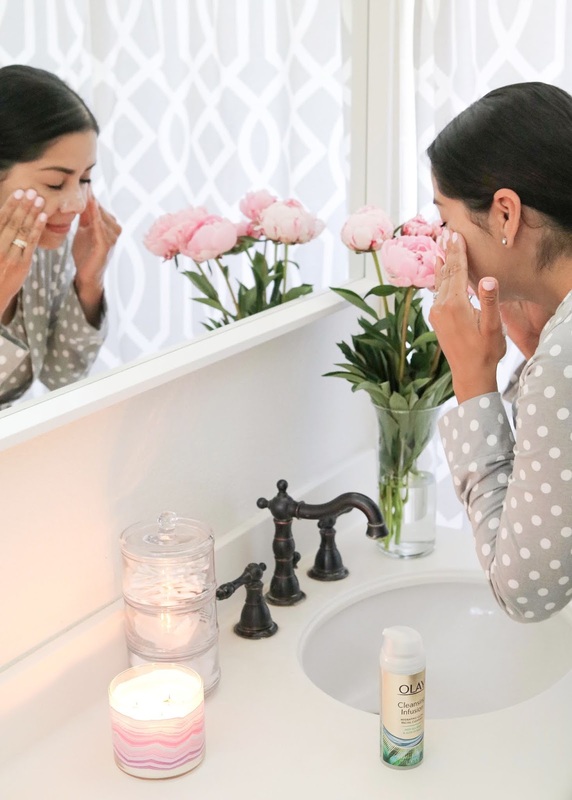 The facial cleanser does more than just remove the surface dirt, oil and the couple of layers of makeup I pound on my face throughout the day to cover my sleep-deprived eyes (#newparents), because it does so without drying the skin! 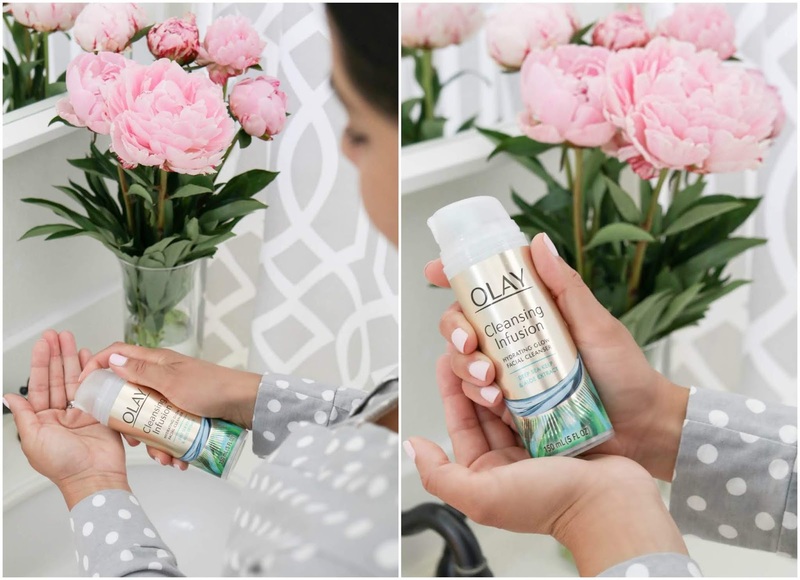 *insert raising hands emoji right here* It's because this Olay Facial Cleanser has an exclusive soy-based formula that infuses a non-stripping cleanser and uniquely hydrates the skin to give it a natural glow. When I wash my face I love giving myself a nice therapeutic massage, so it's nice to know that the creamy lather is actually helping and hydrating my skin rather than drying it out as I feel the previous products I was using were doing. I personally suffer from dry skin and sit in an office with an AC blasting which doesn't help and I love that this cleanser allows me to maintain my skin in an effective way, plus it comes at a reasonable price, which is another plus! I can tell based on this product that Olay really understands a woman's skin and I'm just happy I found it, which is why I'm happy to share it with you all. 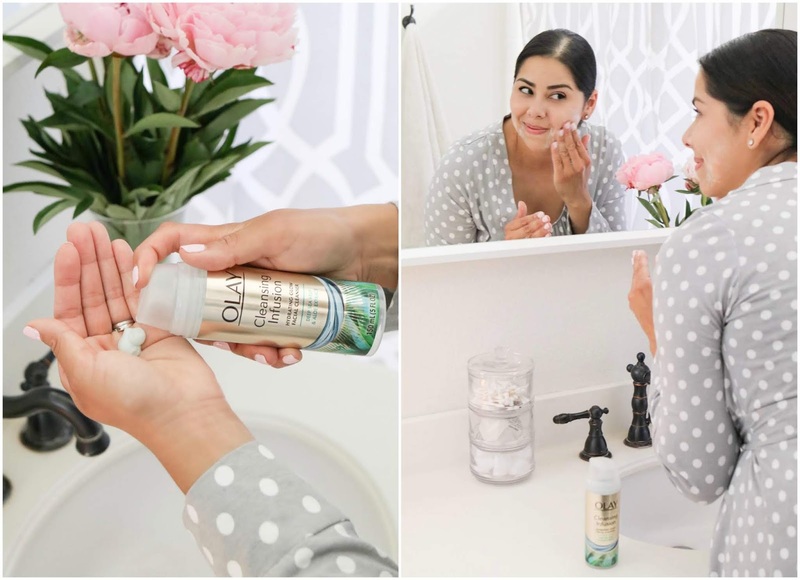 If you would like to give this Olay Cleansing Infusion Facial Cleanser with Deep Sea Kelp a try, you can find it here or look out for the champagne gold packaging next time you are at the store! Oh how wonderful! It looks like a fantastic product and I really love the packaging as well.